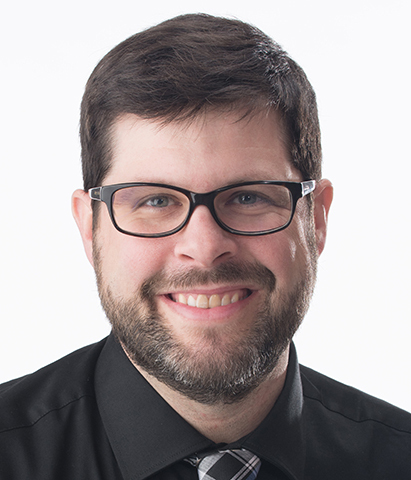 Adam Wagler, assistant professor of advertising and public relations, teaches design, development and strategy courses using both interactive and traditional media. His professional background and research interests revolve around interactive media in communications, owned media using emerging technology and instructional design. Six years of professional work has been supplemented by a number of grant projects at University of Nebraska–Lincoln building websites, mobile apps and other digital projects. Currently, he is researching topics on a UX perspective with instructional technology, owned media using emerging technology, creative strategies using virtual reality in communications, and the integration of interactive technology in the creative process. Adam is an Apple Distinguished Educator (2011), was a visiting professor at Colle+McVoy in Minneapolis (2010) and received the American Advertising Federation's Most Promising Minority Student Nominator award in 2012. His Ph.D. is from University of Nebraska–Lincoln in Instructional Technology with an emphasis in UX with instructional technology in higher education. Adam holds an M.A. from University of Nebraska–Lincoln and a B.F.A. from Iowa State University’s College of Design that included a semester abroad at Swansea University in Wales. Adam is a computer geek who loves to ride his bike, make stuff, cook, and travel.